A very warm welcome to my new followers and friends. Also, a big thank you to everyone who visits My Dream Canvas and to those who leave behind their thoughtful comments. ...lovely colours , i love the combo of pink with orange --- an instant brightness ...have a nice weekend ! 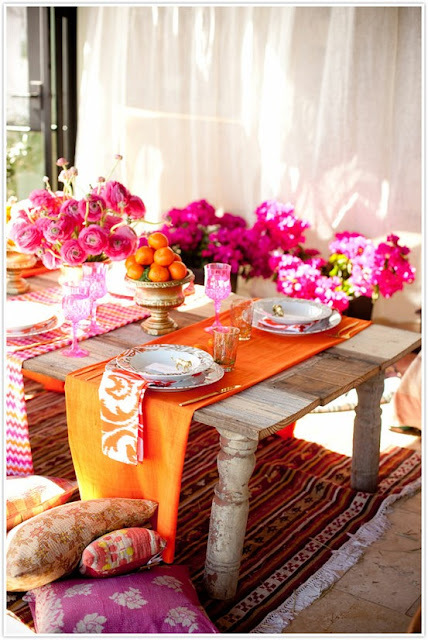 Beautiful table setting... Love the pop of colors... !! What a pretty picture! Happy Weekend to you too! What a happy tablescape! The colors are so fun and fresh, just makes you smile!